For the first time in Cornwall! – don’t miss seeing this show. 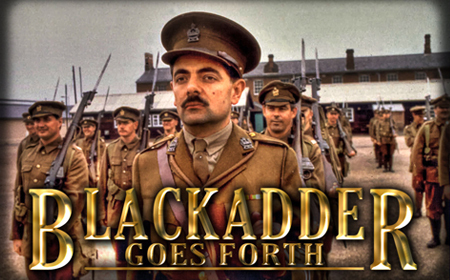 TAODS presents four episodes from the 1989 final series of the BBC sitcom Blackadder by Richard Curtis and Ben Elton, with all royalties going to Comic Relief. 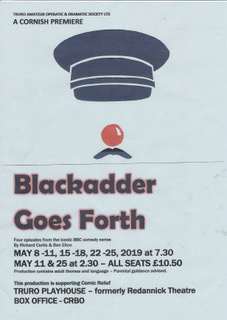 The members of this first rate amateur cast have all captured the mannerisms, intonations and physical bearing of the characters you’ve loved all these years so this really shouldn’t be missed by any lover of comedy. Contains adult themes and language – Parental guidance advised.